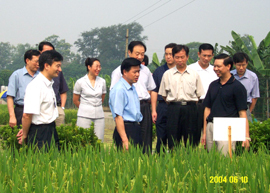 The Rice Research Institute of Guangdong Academy of Agricultural Sciences (GDRRI) has a long history and it dates back to the former Rice Research Station of Sun Yat-sen University established in 1930 by Prof. Ding Ying. 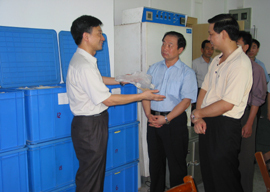 GDRRI is a non-profit provincial scientific institution and the Guangzhou branch of China National Center for Rice Improvement. GDRRI has 184 employees among which 83 are professionals and technicians including 493 senior specialists and 48 PhD bearers. 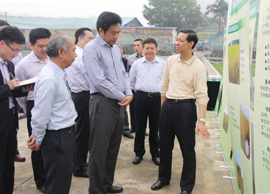 GDRRI has excellent research conditions with a set of platforms such as the Guangdong Provincial Key Laboratory of New Technology in Rice Breeding, National Nursery of Wild Rice Germplasm (Guangzhou), Guangdong Provincial Rice Genetic Resource Center, Provincial Technology R&D Center for Modern Agricultural Industry (Rice), National Demonstration and Extension Base for Foreign Talent Introduction, and Provincial Rice Sci-Tech Innovation Center of Guangdong. In total, there are offices and labs covering an area of 5500 m2, experimental field of 19.27 hectares and greenhouse of ca. 600 m2. Furthermore, there are large-scale advanced instruments and equipment such as groups of growth chambers（Phytotron）, differential scanning calorimeter andamylose analyzer. 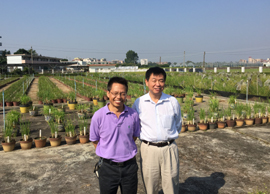 GDRRI is mainly engaged in rice sci-tech innovation with a focus on rice breeding to provide strong sci-tech support for rice production in Guangdong and southern China, as well as to continuously make new contribution for sustainable food security. Besides breeding, GDRRI also carries out studies on rice biotechnology, rice genetic resource, paddy rice cultivation, rice physiology and ecology. In addition, GDRRI has invested as a shareholder on Guangdong Golden Rice Seed Industry Co., Ltd and Guangdong Huamao High-Tech Seed Co., Ltd.
Up to 2017, GDRRI has won 241 scientific awards, including 17 national awards and 112 awards at the provincial and ministerial level. It was authorized 31 patents (of which 23 are patents of invention) and 75 new plant variety rights. GDRRI has released 771 varieties, among which 29 have been each planted with an accumulated area of over 660,000 hectares. 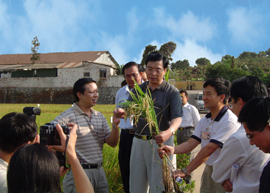 At present, rice varieties and technologies of GDRRI accounts for 75% of the rice production acreage in Guangdong, with over 90% of S&T achievements commercialized. Therefore, GDRRI has made significant contributions to both the progress of rice science and technology and the development of rice production and assurance of food security. Due to itstremendous achievements, GDRRI has been rewarded by the authorities for many times. 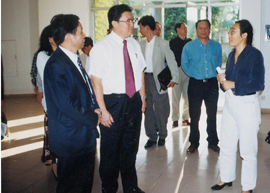 It was named as “Excellent R&D institution of Guangdong” by Guangdong ProvincialGovernment in 1995 and received the “National May 1st Labor Merit Certificate” in 2002. It ranked the first position and was one of the “Excellent Non-Profit Research Institutions” in the first evaluation on non-profit institutions in Guangdong province. It ranked the 4th nationwide and the 2nd provincially in the comprehensive evaluation of research capacity of the agricultural institutions during the 10th Five-Year Plan (2001-2005).